Other areas of the face and body can be treated such as frown lines, marionette lines, upper lip lines, neck wrinkles. If a 2nd treatment is required the cost of this will be determined by the practitioner, taking into consideration the amount of work that is required, but will generally be around 50% of the original treatment cost. 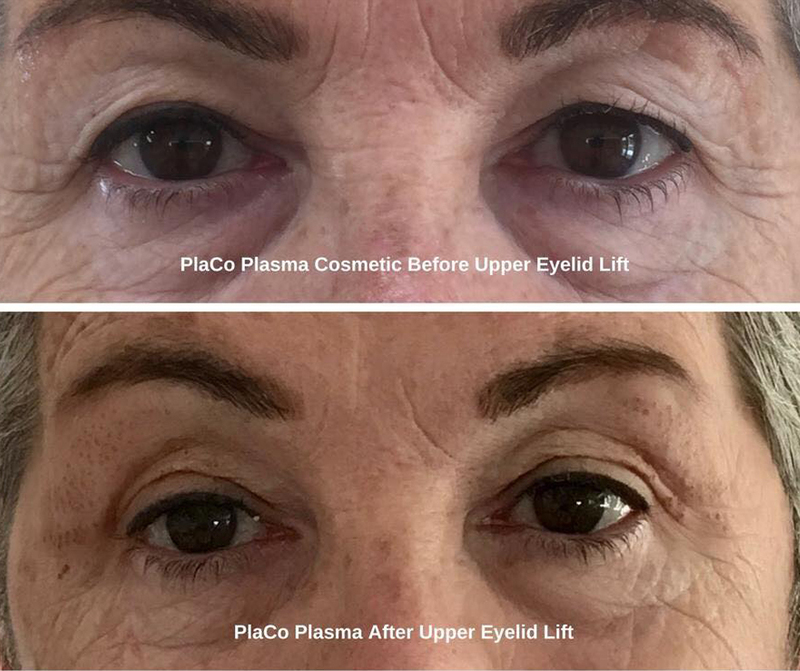 Deeper lines or very heavy eyelids could possibly need 2-3 treatments. The second/third treatment is ideally carried out 2-3 months after the initial one as the results from the first treatment continue to improve during this period. 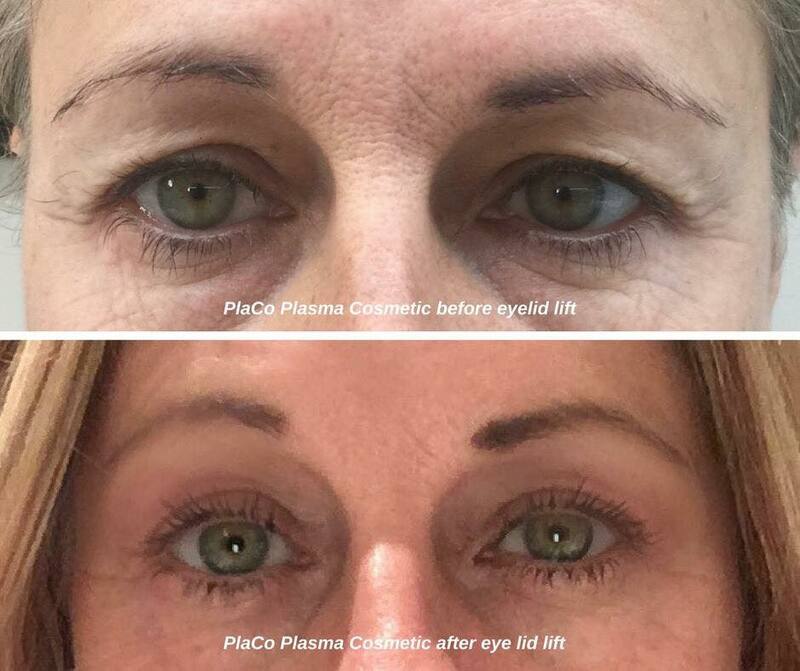 This is a non-surgical, non-invasive treatment that shrinks excess skin, bags and wrinkles! This treatment protocol is also used for other areas of the face/body. Typically around 2-5 years, but is subject to the number of treatments you may require, your lifestyle and how you personally age. You will continue to age and your skin will continue to relax as part of the normal ageing process, and eventually you may see problems such as wrinkles and saggy skin re-appear. 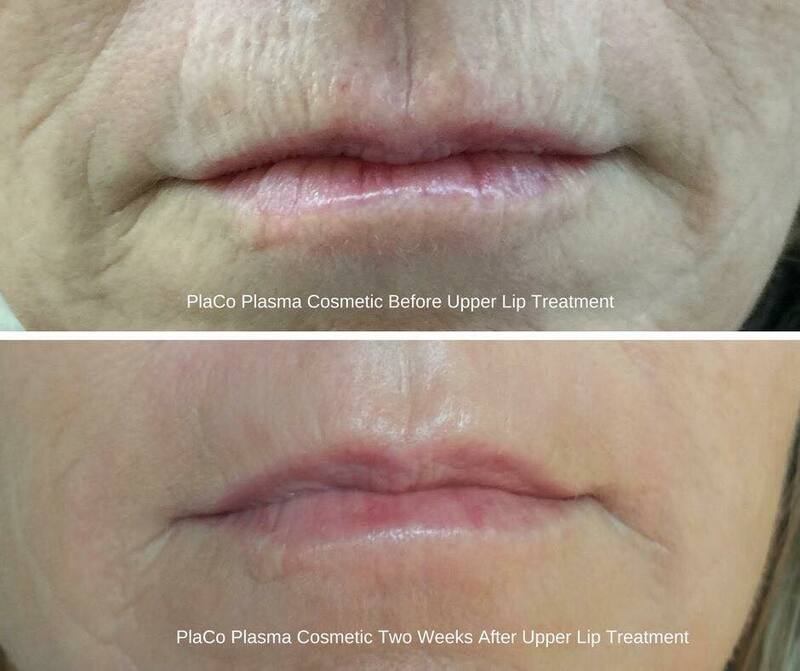 However the PlaCo Plasma Cosmetic treatment can simply be repeated again. To book this treatment you will first need to book a Skin Analysis to determine treatment suitability.